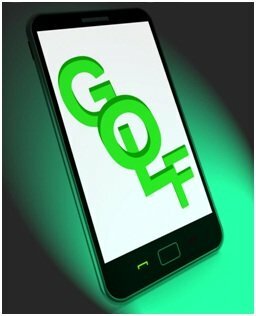 4 Best Golfing Apps Golfers Must Have! Nowadays, technology has not only affected our communication and working style; but has even influenced the sports we watch and play. Multi-functioned smartphones, with well-designed apps have made it possible for sports lovers to track game stats and improve their sports skills, with a single gesture of their finger. For golfers in particular, there are numerous online apps that can serve the purpose of improving their skills and golfing experience like never before. If you are a passionate golfer having a smartphone in your hand, then you must have already searched the app store for some golfing apps that can help you on the course. However, if you haven’t looked for any yet or didn’t find something interesting, then checkout the following must have golfing apps. How you hit the dimpled golf ball actually decides where your ball will land. It is the speed and the force of your golf swing that give the ball momentum for the in air flight; to roll it into the hole or to make a fat shot. Golf Trainers can guide you over some of the shots you play, but is there a way to analyze every single shot you hit? Well, yes – through the V1 Golf app. The app allows the golfer to compare their swings to that of any PGA Tour pro of their own choice. It is equipped with the feature of slow motion display that allows the golfer to exactly pin point their flaw and then work on it. If you are looking for one complete golf app that can keep a track of your game; provide you useful tips, and display augmented views too, then search no more because Golfshot GPS is what you are looking for. The app covers over 40,000 courses in different parts of the world and provides yardage for each one of them. It further allows the golfers to click pictures and mark the holes; taking notes for different courses. In short, from the score board, game statistics, shot tracking to flight distances- the app is precisely the best way watch to keep an eye on your game performance. One of the most important characteristics of professional golfers on the course is that they commit golf rules to their memory. While playing the game, they never find a need to refer back to any trainer or book for any rule guidance. If you too want to become fluent with golf rules, then don’t refer to hefty rule books; as The Rule of Golf is there to serve you. The app has all the basic as well as updated golf rules that a golfer might need on the green. Just enter a world of rules and all the required information will be displayed. Another all-inclusive golf app is Golf Smash. The app allows you to search for thousands of greens around your residence or within your surroundings; and also provides reviews and information about their tracks and services. You can even avail the cloud option through Golf Smash; using which, you can keep a record on your score and view it whenever you want. With a real-time GPS to show green distance, Functional Range Finder to display rough and fairway distances, and many other fascinating options; Golf smash is of great help to golfers.